A longtime San Miguel Community Services District director has resigned his seat on the board, stating he can no longer work with elected officials who break the law. 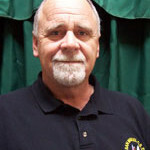 Richard Harrison had served the San Miguel CSD board since the district was created in February 2000. Harrison vacated his seat Tuesday and submitted a letter of resignation accusing fellow board member of abuses ranging from personal attacks to misappropriating district funds to provide themselves phones and laptops. “I cannot and will not be part of these violations of law,” Harrison wrote. In the resignation letter, Harrison said that a few board members are threatening major budget cut that include firing district employees or cutting their pay. The board majority would do so in order to pay themselves stipends and provide themselves laptops and phones at the expense of the district, he said. Harrison also accused the directors of improperly holding private meetings before regular board meetings to make decisions on district business. California’s open meeting law, the Brown Act, forbids such action. Last August, the board fired district manager Dan Gilmore during a meeting that had no agenda or public noticing. Board members Gib Buckman, John Green and Anthony Kalvans decided at the end of a regular meeting to reopen a special meeting that had concluded earlier that day. Buckman, Green and Anthony then voted to fire Gilmore without cause. Prior to the vote, Harrison questioned the meeting’s legality and decided to leave. Harrison called the three board members “maverick musketeers” and said the primary reason for Gilmore’s termination was a personality conflict between the directors and him. Aside from Gilmore’s firing, the San Miguel CSD has recently been plagued by legal grievances filed between staff and board members and arguments over the legality of changing out water meters at a director’s property. An employee was also prosecuted for embezzlement. Harrison concluded his resignation letter by saying he wishes San Miguel the best. “As I’ve always said, “what goes around; come around,” Harrison wrote. Forget abouti Jake, it’s San Miguel.. Truth is that this guys accusations are totally bogus. This guy made claims back in August that the CSD had illegally fired their district manager. Why is there no law suit? According to Harrison and Cal coast news the CSD had broken the law and were going to be sued by Gilmore. This never came to fruition. There have been problems with the CSD in San Miguel but Gilmore was on the side of those caught with their hand in the cookie jar and now he is trying to make himself out as the victim. Dan Gilmore is an honorable man with good intentions. He did his best in a bad situation and was not able to break through the corruption or solve the problems associated with San Miguel’s leadership. It was apparent to him that the system was corrupt and he would not follow suit. This is the reason he was fired. He chose not sue because he wants to avoid the ongoing drama and chaos of a lawsuit. He is a simple guy that wants peace in his life. Interesting…Carmel is the lawyer for SMCSD. Wonder if Wallace had his hand in this as well? Wallace Group is the District Engineer there too. Did you bother reading Harrison’s resignation letter? Harrison seems to be saying district counsel was part of the solution and not the problem. Don’t let facts get in the way. Too bad Mr. Harrison left the 3 Amigos in charge. It must have been really bad. Most government doesn’t work, especially big, bloated, unaccountable government with authority to confiscate (tax). sounds a lot like Oceano and why Jim Hill resigned. At least in Arroyo Grande we are slowly ridding ourselves of the leeches who feel they do not work for us and look out for each other no matter what. Why don’t you have Jim Hill himself explain why he quit on Oceano and split town. It was like being captain of the Titanic and jumping ship just before it hit the iceberg. Go back and examine Mr. Hill’s record in Oceano politics. And ask him how being in local politics gets him rewarded by his employer, PG&E. And who, exactly, are you calling a “leech”? If you are implying that about Steve Adams, how about you show some evidence? Or would that upset the lynch mob you run with? As an avid Oceano Board watcher for the past 6 years, Jim Hill was the last director on that board willing to cut spending and reign in rogue staff and questionable expenditures that were illegally being made by board members. Cell phones, health insurance, afternoon lunches at Old Juan’s on the district’s dime were the norm until Hill was able to shine the light on these and other violations of the law. Hill even asked board members to fore-go their stipends altogether, which they did, until he left. Hill was uncomfortable, as anyone should be, with the GM’s accounting practices and unwillingness to pull together previous data to catch the district’s audits up. His fellow board members were unwilling to sever ties with that GM so Hill and Heson resigned. Only 6 weeks later CalCoastNews found that GM was stealing. A trend that continued with successor GM’s (incompetence is a form of theft, too). It’s been the board since that has driven the district steadily toward bankruptcy. They were lucky to have a few Hail Mary’s to keep them afloat and bring their books into the 20th century. But, look at their audits and their dwindling funds. The Titanic set sail when Jim left, Mary Lucey is now at its helm and will steer it straight into the iceberg. The budget this year was adopted $281K in the red, Paavo just gave them a projection of how this years spending is going adding another $70K to the deficit. Last year the water fund borrowed $770K from an internal fund. The rate increase Jim implemented just as he left has been spent entirely on GM salaries and hiring accounting consultants. The infrastructure is rapidly failing. Wells are off for costly repairs, State Water has stopped flowing — the bills keep coming, Lopez is their most reliable source and the lake level is dropping and they’re maxing out the allocation. All the while the distribution system is LEAKING as much as 134AFY annually. That’s water the rate payers are paying for that never reaches a faucet to be used. Hired in May 2014 under the magic math of combining two positions, GM & accountant, the star struck OCSD board hired Paavo Ogren. Director Karen White said it that night, “let him find his own money” as they grappled with his $1M four year contract. In February Oceano ratepayers will witness Paavo finding his own money as he implements an urgency rate increase under the guise of “drought.” He will be back in 2016 with a rate increase intended to back-fill deficits and finally make infrastructure repairs. Ogren is paid $1000 a day, an amount few Oceano residents make in a week, while the pipes continue to leak. I’ve known Richard for over a decade. He’s one of the most honorable men you could be associated with. I’ve stopped in the District many times over the years and could never get a straight answer to anything. Richard, I salute you! The question is….is this guy single???? Damn-integrity is so rare! I bet he is a gentleman too…..wow…. Public official poor performance by his cohorts. Not surprising in our happy county where mis- and malfeasance courses through the veins of MOST nearly ALL public agencies, well let me say at least a sad percentage of them. His is a courageous move, and a personal sacrifice. Imagine how many hours/years he spent researching matters and pouring his heart into his community through patient public service. I know how hard one works at such a position. For him to give it up must mean the misbehavior was profound and not just anecdotal. Sir, I salute you for those hours and years of service, grief, occasional boredom and stress; few could understand unless they’ve served in similar office. Thank you. I can only hope now that CHANGE and INVESTIGATION will result from your sacrifice of your years with the board.